One of the reasons why we’re so popular is that we understand that our customers need several storage options. The Aussie team knows that more choice is what creates a better level of customer service. That’s why we have a range of storage services on offer which covers everyone’s storage needs. You’ll be able to receive the best self storage rates for unbeatable service delivery in Bath. Self Storage is the best way to keep your possessions safe, especially if you have valuables or items that are irreplaceable. So, if there are things like antique furniture or fine art in your loft or garage, you should move them as soon as possible. Although we may use our garage, attic, spare room and sometimes our shed for storage purposes, the truth is, they’re not adequate for this purpose. Your home isn’t made for storage purposes, meaning there is a potential for damage to occur. Let’s face it – England has its fair share of rainfall, and even in new-builds, a typical house roof might leak. And while the water doesn’t always seep through, it can cause damp and rot, which can then damage your possessions. Self Storage gives you regular access to your possessions, and you’ll be able to organise everything as you pack them up for storage. And if you rent a self storage unit from Aussie, you’ll get the best rates in the market with us, in addition to excellent customer service. Furthermore, you won’t have to worry about a lengthy contract for storage – it’s up to you how long you store with us. We don’t have any set period for storage rental, and we always try to be as flexible as possible. So, if you decide to take a smaller unit now and find you need a larger one, no problem. We’ll be able to upgrade you straight away. From your first call or email to us we will do our best to work out what your storage requirements are. And once we have some key pieces of information, we will begin to make a detailed assessment based on the types of things you plan to store. We assess every storage inquiry or quote and only offer most cost effective package. We have three storage options, and it’s our belief that we cover all bases. Aussie Container Storage– this is ideal for long-term storage. A lot of people store valuable and fragile equipment or products, due to the high level of security at our facilities. Aussie Self Storage– perfect for short-term storage and companies who need regular access. This option is frequently chosen by businesses who move their stock in and out on a regular basis. AusBox Storage– this innovative storage service combines elements of both the previous options, but on a smaller scale. 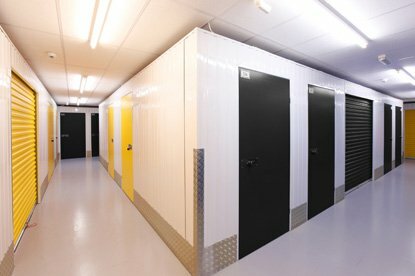 The AusBox is a unique storage option that is ideal for individuals or small companies who need long-term storage at cheaper rates. You can also visit your AusBox four times a month without additional charges. Aussie Man & Van is the area’s newest removals and storage provider, in addition to our Bath depot being the sixth Aussie Group branch. We have hundreds of new customers every month, and our client list grows on a daily basis, with many new clients signing up with us by way or recommendation. Additionally, we also retain a lot of loyal customers who need other services. Providing the highest standard of customer service is crucial to us. Part of our ethos is that offering more storage options will help us match our client’s needs exactly. Aussie’s range of services and individual removals packages are part of our ‘all under one roof’ ethos. We’re the ‘can-do’ company that can take on any storage or removals job. Aussie Man & Van is operational in Bath, and we operate throughout the whole of Somerset and all neighbouring counties. Self storage can create a tremendous amount of space at home or your work. And once you start renting a self storage unit, you’ll wonder why you didn’t do it sooner. If you would like to discuss our range of storage services in Bath, contact us today. We have the right storage package to suit your requirements.